The Medium 4 Piece Ergo Grinder 62mm offers some of the toughest grinding action available in today's market. Their aircraft grade anodized aluminum build does a great job at resisting wear and tear over time, leaving you with a durable piece that will perform and look like new for much time to come. The 4 piece includes a strong magnet in the lid to keep the top from opening when you don't want it to, a removable stainless steel sifting screen for quick and easy cleanings, and bottom storage compartment for collecting pollen from your favorite blends and spices. 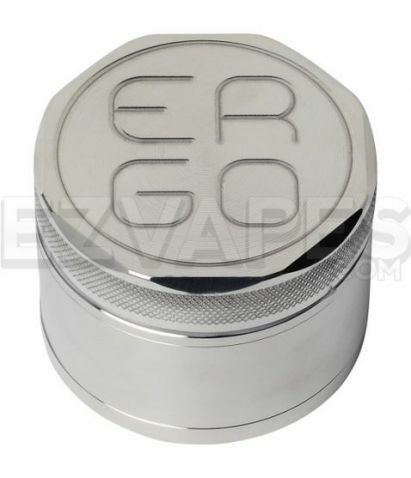 The Ergo grinder has a grip design on its lid as well, providing an ergonomic grip that eliminates the need for excessive force when working with dense material. 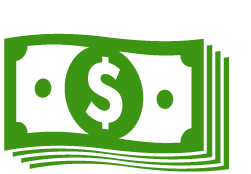 Each Ergo grinder is backed by a lifetime warranty, showing the manufacturer has full confidence in their product. 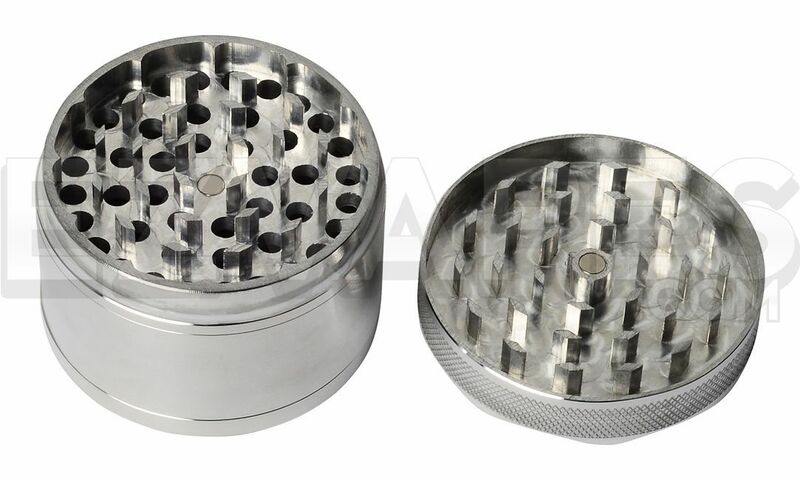 The Medium size is 62mm (about 2.5") which is ideal for those who are grinding a lot of material at once.